The set is designed for people who want a minimalist TV. In 2015, Samsung took a minimalist approach with its Serif TV, a 4K television designed to blend in with your furniture at home or office. That product is part of the company's efforts to make TVs look and feel less obtrusive, all without losing their main functionality: letting you watch your favorite movies or TV shows. As of March, this now includes the "Frame TV," which was created with the idea to double as an art piece. The concept is made up of and LCD, UHD panel, Tizen OS smart TV features and a wall-mounting system that, Samsung says, doesn't require you to hire anyone to set it up. 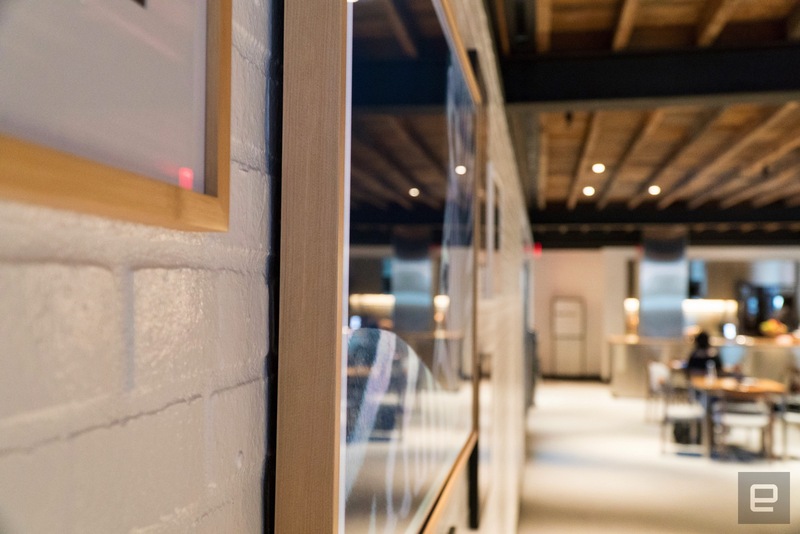 To make The Frame TV more appealing, Samsung worked with famed Swiss industrial designer Yves Béhar, who curated some of the artwork you can display on TV in "art mode." (I'm told the device consumes about the same amount of power as a cable box when it's being used this way.) The Frame TV comes with 100 art pieces preloaded, ranging from categories such as landscape, action, architecture, drawings and wildlife. And just in case you're into any of these, you do have the option to upload your own images via USB. Samsung says it wanted to make customization a top priority with its new TV. For instance, the bezels are interchangeable (dark wood grain, black and white are some of the options), and art mode lets you change the border colors for each art piece that's on the screen. There's also a sensor that adjusts the TV's brightness depending on the lighting of your room, making the digital images seem more like printed pictures at times. It actually took me a few seconds to notice the Frame TV on the wall during my demo, particularly because it was surrounded by a handful of picture frames. 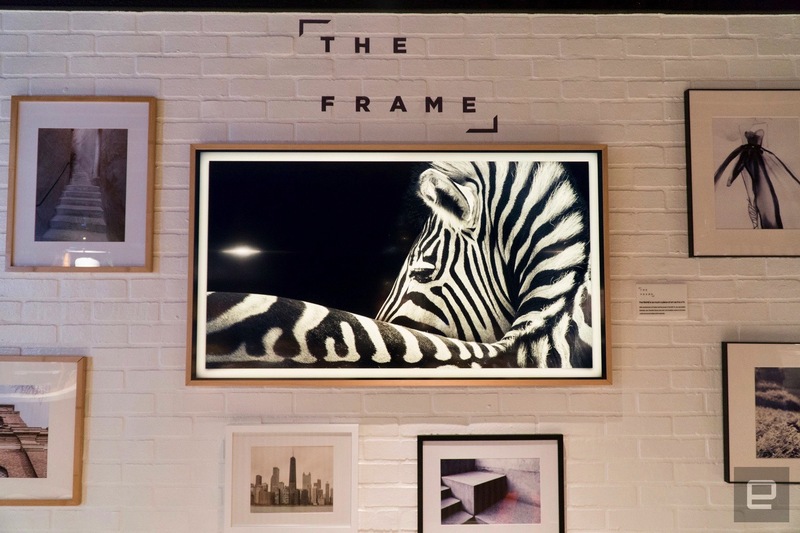 The Frame TV will be available in 55- and 65-inch models when it starts shipping in early June, though Samsung hasn't said just how much it'll cost yet. We'll let you know as soon as those details come out. For now, enjoy a closer look at Samsung's latest lifestyle TV.